ProcessFlows’ Mobile Communications have enabled Colorcon to take advantage of a quick means of contacting staff by using the product via its Lotus Notes integration. Colorcon, a Division of Berwind Pharmaceutical Services Inc, is a global company that develops, manufactures and supplies speciality chemicals and excipients (an inert substance which is combined with drugs) for the pharmaceutical industry. In order to meet the diverse requirements of international customers, Colorcon have offices, manufacturing facilities and technical service laboratories located around the world. This global network ensures fast, timely access to the products and services required by customers. 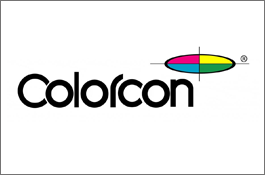 With a never ending need to improve efficiency throughout the organisation, Colorcon made a decision that it needed total desktop integration of its communications solutions. The organisation turned to ProcessFlows for an integrated suite of communications software and, in addition to OpenText RightFax and CX-E Unified Messaging, they installed ProcessFlows’ SMS gateway. ProcessFlows’ Mobile Communications bring SMS to the desktop, without the need for additional training. Colorcon staff are able to send and receive text messages via their familiar Lotus Notes software, with all messages flowing in and out of group and/or personal email inboxes.